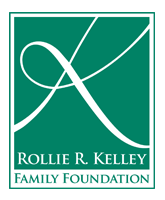 The Rollie R. Kelley Family Foundation is a 501(c)(3) organization that supports economic education, as well as other educational and cultural programs in the metro Denver area and along the Front Range. It also supports programs benefiting the homeless and those in transition. Past recipients have included the Young American’s Center for Financial Education, Junior Achievement, and the Colorado Council on Economic Education. The Foundation has also supported the YMCA and the Denver Museum of Nature and Science.